When Jyrki proposed to Jiyeon he wanted her to choose the ring - but at the same time he wanted to give her something that would remind her of the day. So...he bought a watch. Well, not just any watch...a Cartier! 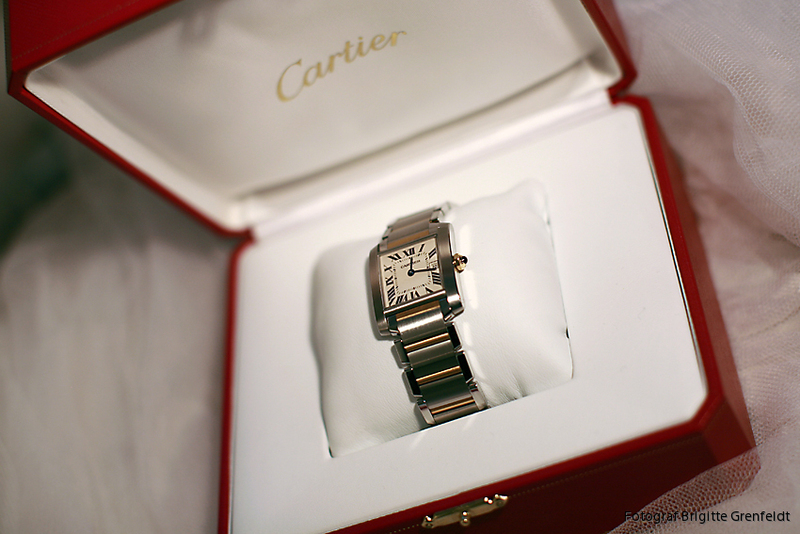 Haha, you never go wrong with something from Cartier. A few weeks later Jyrki & Jiyeon went to W.A. 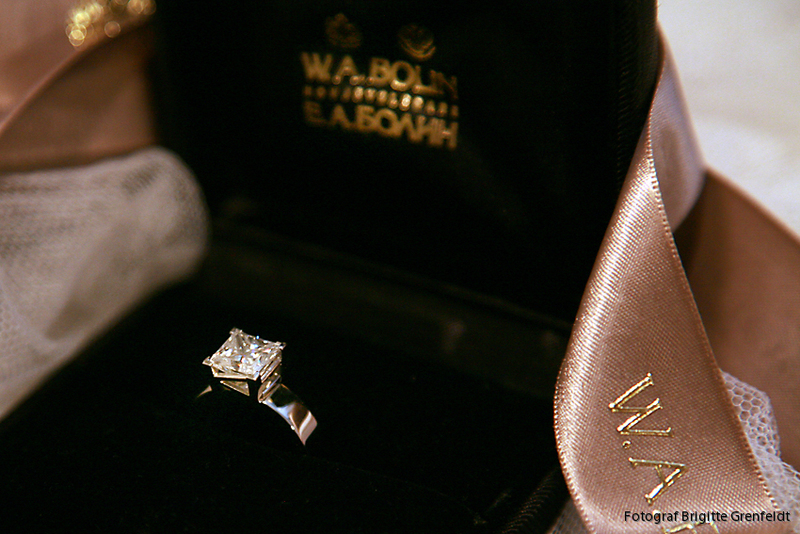 Bolin - Stockholm's finest jewellery store at Stureplan - to have them make a personal designed engagement ring. Look at the "K" that holds the diamond. Jiyeon's future familyname starts with a "K"... Can an engagement ring get more personal than that? And of course some v.e.r.y. personal engagement pictures!